It seems like there is a new health fad or trend every week, and it can often be difficult to catch up. However, in the realm of breads and grains, one of the constant questions that people have relates to words like “whole grain” and “multi-grain”. When you’re walking down the bread aisle, it can be an overwhelming experience… there are so many different options to choose from! While most people know that plain white bread doesn’t offer much nutritional value, the benefits of other types remains a bit of a mystery. So, in the endless quest for living healthy, people often choose multi-grain bread and other products, assuming that it is a healthier option. More grains means more minerals and nutrients, right? Is this a wise assumption? What are the specific benefits of multi-grain? Short answer: Provided that the multi-grain product is also whole grain, there are many benefits, including its ability to improve digestion, provide a more diverse mineral intake, protect the heart, build strong bones, improve the metabolism and boost circulation, among others! As the name implies, multi-grain bread and other products are made of more than one grain. While your average bread is made from wheat, multi-grain bread may also include barley, millet, flax and oats, as well as certain seeds, such as flaxseed, quinoa or sunflower seeds. Different varieties of multi-grain bread will contain different mixtures of grains and seeds. However, grains by themselves does not make something healthy. For example, white bread is made of wheat flour, but it is not “whole grain”. When a bread is whole grain, it means that all parts of the grain kernel are used – endosperm, germ and bran. This is where the majority of the nutrients are found, which is why whole-grain foods are so widely respected in the health community. It is possible to have multi-grain bread that isn’t necessarily made with whole grains, which wouldn’t have nearly as many other minerals and essential nutrients. Obviously, it is essential that you thoroughly check the ingredients, and look for multi-grain bread that is also whole grain. That being said, most multi-grain breads are also whole-grain breads, and for the purposes of this article, multi-grain bread is assumed to be whole-grain bread. Multi-grain bread and other products are widely known as great sources of dietary fiber, as well as certain nutrients, vitamins and minerals, including significant levels of selenium, manganese and vitamin B.
Dietary fiber is perhaps the most important component of multi-grain bread that you don’t get from regular white bread of non-whole grain products. Dietary fiber is largely concentrated in the bran, endosperm and germ, and this is critical for digestion. Fiber can help move food through the digestive system, by stimulating peristaltic motion in the gut. This can bulk up stool, in order to relieve diarrhea symptoms, but it can also eliminate conditions like constipation, bloating, cramping and indigestion. Fiber is also an important part of good heart health. Fiber can effectively “scrape” excess LDL cholesterol from the body, significantly reducing your chances of developing atherosclerosis and blood clot issues, which also lowers your risk for heart attack or stroke. Dietary fiber can also help to regulate blood sugar levels and optimize the uptake of nutrients in the gut, thus helping to prevent diabetes, or moderate its effects. 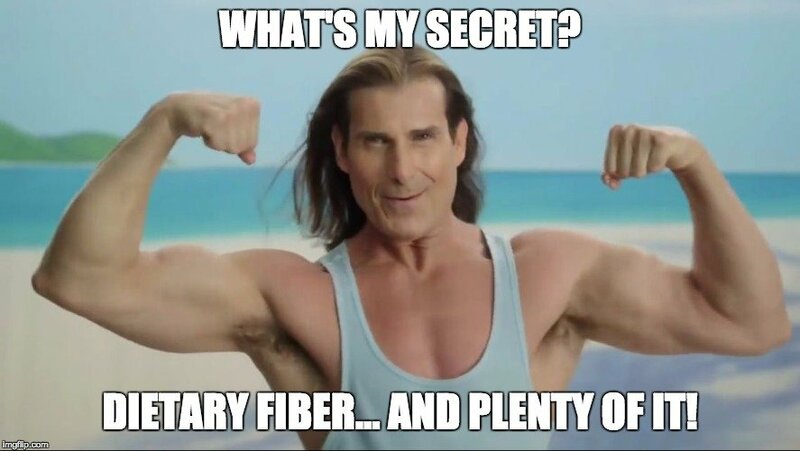 Fiber has even been linked to a lower risk of certain types of cancer, including prostate cancer, which kills more than 100,000 men every year. The low-calorie and low-fat nature of multi-grain bread is also important for health. There are only about 70 calories in a slice of multi-grain bread, and only 1.1 grams of fat. This is excellent news for people who are trying to lose weight, without eliminating their ability to eat their favorite sandwich every day for lunch! Furthermore, in a single slice of multi-grain bread, you will get an average of 3.5 grams of protein, in addition to whatever protein-rich meats or cheeses that you are putting in between those slices of bread. This is important for growth and development, as well as the formation of new cells and metabolic activity. In terms of minerals, multi-grain bread tends to have high levels of manganese and selenium, as well as notable levels of copper, iron, magnesium, potassium and zinc, in addition to numerous B-family vitamins, such as pantothenic acid, folate, riboflavin and thiamin. You get more than 25% of your daily manganese intake from a single slice of multi-grain bread, and more than 10% of your selenium. These minerals help with blood sugar regulation and cognitive function (manganese), as well as boosting the immune system and improving fertility (selenium). The other minerals also serve key functions in the body. Potassium acts as a vasodilator and can help lower blood pressure by relaxing the tension of arteries and blood vessels; it is also critical for water balance throughout the body. Iron is a key component in the production of red blood vessels, which our bodies need to oxygenate our organ systems and prevent anemia. Copper, zinc and phosphorous, among others, are needed to build strong bones and stave off osteoporosis as we age. Magnesium is important for our digestive process, can help relax the body and mind, eliminate sleep disorders, and help strengthen your teeth. B-family vitamins are the only vitamins found in multi-grain bread, but there importance in the body cannot be overstated. From preventing birth defects in children to regulating the metabolism and hormone production, vitamins like folate and riboflavin are crucial components in our diet. B-vitamins also have a powerful effect on the production of energy from the food that we eat. There are clearly plenty of benefits of multi-grain bread and foods, provided they are also multi-grain. 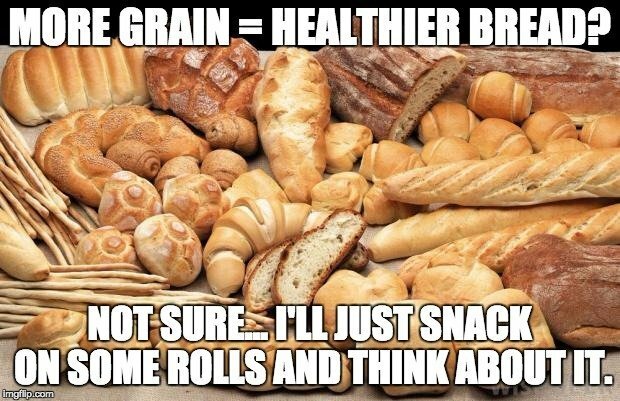 Next time you are having a panic attack in the bread aisle, remember all the health boosts that multi-grain can provide, and shop a bit smarter!